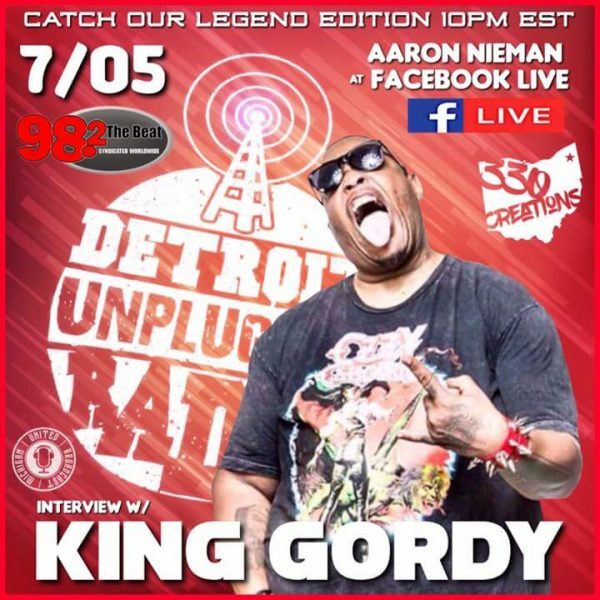 Tonight on Detroit Unplugged Radio, they welcome special guest KING GORDY of the Last American Rock Stars for a LIVE interview! The show starts at 10 PM EST, and airs on 4 networks throughout the week! King Gordy is an open book in most interviews I’ve ever heard him partake in, so you know this will be one not to miss! You can tune in by going to Aaron Nieman’s Facebook where he’ll be streaming live! Click to stream LIVE @ 10 PM EST!